If you’re planning to go on a vacation with your family or adventures trip with friends to a foreign country then you would most probably need a visa. According to your citizenship and destination of your trip the visa policies and requirements might differ, plus there are some countries that won’t even require for you to have a visa. Your visa status that gives you green signal for your trip is very important part for travel and since it is hard for many people to understand all the complications and deal with it, we decided to create this blog to give out some important information regarding your travel visa to these popular travel destinations. An island full of history and heritage, Sri Lanka truly is a beauty to behold. If you are planning to go for a vacation in a foreign country where you can relax and experience a different culture altogether, then Sri Lanka is perfect for you. The island has it all, from amazing wildlife to beautiful white sand beaches to magnificent temples that are bound to keep you hooked. Get Your Tourist Visa: Getting a travel visa for Sri Lanka is actually an easy process. You can simply apply the Visa Online and get an ETA that will allow you to visit for a maximum of 30 days. Your Passport validity: Your passport should have minimum 6 months validity from date of entry to Sri Lanka. Thailand is beautiful mix of city and nature, an amazing mixture of traditional culture to modern lifestyle. You can visit Thailand at any occasion be it for a beachy vacation or a wild bachelor’s party, the city has something for everyone. It is known for its attractive yet cheap markets, beaches, clubs, exotic food and even temples, all of which will give you a chance to experience the real Thailand. Through the Thailand Embassy: It will take about 3 business days for the completion of process. Get Visa on Arrival: This new feature has made getting a visa for Thailand a lot easier. If you plan to stay no more than 15 days in the country then you can avail the Visa on Arrival service from and of the 32 designated channels of Immigration checkpoints including Phuket International Airport. Note: Explore more about Thailand Visa here. Your Passport Validity: Your passport should have minimum 6 months validity from date of entry to Thailand. If you want to have the true feeling Asian culture, then Malaysia is the place for you. Yes, it is a little bit costlier than say Thailand but it is the place to go for a real vacation. The geography is very vast, enabling you to experience mountains, forests, topical highlands, beaches and city life, all in Malaysia itself. Some places to visit in Malaysia: Kuala Lumpur, Penang, Perhentian Islands, Malaysian Borneo, Malacca, Taman Negara, Cameron Highlands, Tioman Island. Get Your Tourist Visa: To get the travel visa for Malaysia you can simply visit the embassy. Applications can also be made online through I-Visa System (Applicable for tourist from China, India, Sri Lanka, Myanmar, Nepal, Bangladesh, Pakistan, Bhutan, Serbia and Montenegro nationals.) and other foreign nationals who require a Visa to enter Malaysia must apply and obtain a Visa in advance at any Malaysian Representative Office abroad before entering the country. Your Passport Validity: Your passport should have more than 6 months validity from date of entry to Malaysia. 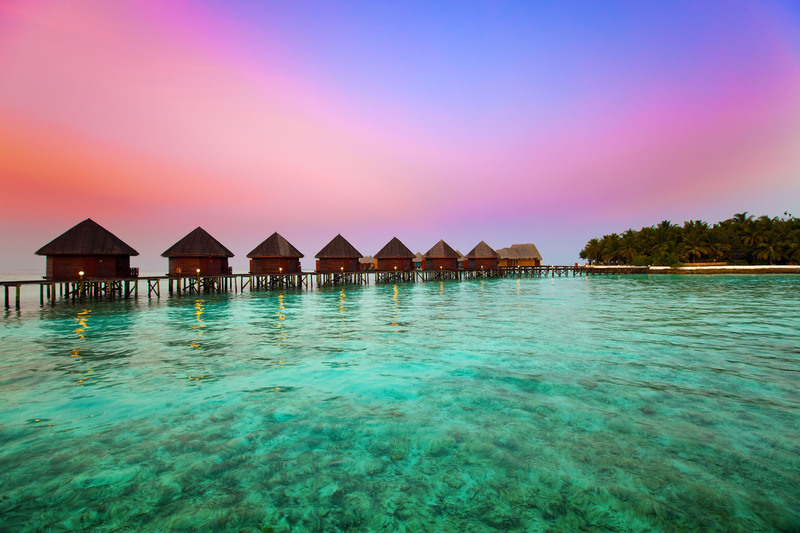 If you are a beach person, then Maldives should definitely be on your bucket list. 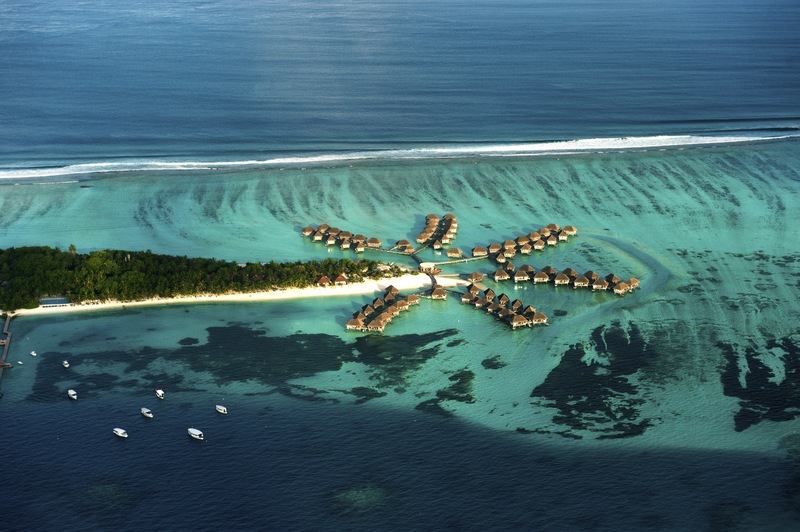 Having 1200 islands and 26 atolls, Maldives truly is the King of Beaches and Islands. It was earlier considered to be just a honeymoon destination but has grown to be family vacation destination too without losing any of its charm. You can enjoy the private beaches and resorts with a lot of exotic food there. Must Visit Places in Maldives: Male, Sun Island, Banana Reef, Alimatha Beach, Artificial Beach, Hulhumale Island, Kuredu. Get Your Tourist Visa: You do not need to get a pre-arrival visa to go Maldives. All the nationalities are provided a thirty-day free visa on arrival. P.S. : Get detailed information about Maldives Visa here. Your Passport Validity: Your passport should have minimum 6 months validity from date of entry to Maldives. Dubai is known for its modernist architecture, dynamic nightlife scene and luxury shopping. One of the most popular tourist spots there is Burj Khalifa, an 830m-tall tower that leads the skyscraper-filled skyline. At its foot lies Dubai Fountain, a beautiful fountain with jets and lights choreographed to music. The Tourist Visa comes under the Visit Visa and depends upon your plans in Dubai, it can be issued for either 30 days or 90 days duration, single entry or multiple entry but its non-renewable. If you stay for more than the validity of your tourist visa, you have to pay a fine per day plus some charges for an out pass. P.S. : Get Your Dubai Visa Online here. Scanned colour copy of the first and last page of your passport. Scanned colour copy of your passport size photograph taken against a white background. Avoid blurred and unclear photos. Bhutan often does not strike as a tourist destination to many, but this country is truly a gem for a vacation. With 72% of land is covered with forests, the country offers a totally unique experience to its visitors. Bhutan also has some of the most impressive mountain ranges where you can trek and participate in adventure sports. Get Your Tourist Visa: Indian, Bangladeshis and Maldivian Nationality citizens do not require a visa to enter Bhutan. They can visit Bhutan any time for any duration and if you don’t come under these nationalities than you must required visa before entering in to Bhutan. You can process visa through an online system by your licensed Bhutanese tour operator directly or through a foreign travel agent. You have to send the photo-page of your passport to your tour agent or operator who will then apply for your visa. Your visa will be processed by the Tourism Council of Bhutan, after your full-payment of your holiday and visa fee has been transferred and received in the Tourism Council of Bhutan bank account. the visa clearance will be processed within 72 working hours. P.S. : Get information on Bhutan Visa here. Your Passport Validity: Your passport should have minimum 6 months validity from date of entry to Bhutan. Vietnam is popular for its rivers, beaches, bustling cities and Buddhist pagodas. Its magnificent natural beauty; the green rice fields in the north or the fascinating bustle of the Mekong Delta in the south, has a calming effect on you and makes you want to go there again and again. It is also known for its extensive history and ancient traditions. Get Your Tourist Visa: For Vietnam the process of getting a business visa or a tourist visa is usually the same. You can get it through a Vietnamese Embassy or Consulate office in your country. The form and fees vary country to country and the process take 7-10 working days and by mails this process will take 2-3 weeks. The other option for you would be visa on arrival. For this, you have to submit an online form to get the pre-approved visa letter, which you will receive within 3-5 working days, and in emergency cases can be processed in just 3-4 hours. Be prepared with all your documents, required stamping fee, board the plane to Vietnam and you will get the visa stamped on passport upon arrival. P.S. : Get Vietnam Visa on Arrival here. Your Passport Validity: Your passport should be valid for a minimum of 6 months on the date you enter Vietnam for you to be entitled for the 15-day visa exemption. Australia is a land of amazing contrasts and great beauty. Here you can explore exciting multicultural cities, vast sandy islands, ancient rainforests, and one of the planet’s most awe-inspiring natural wonders – the Great Barrier Reef. Apart from that, the rugged national parks and red-earthed deserts offer the ultimate in adventure travel. Get Your Tourist Visa: There are different visas available to travellers to Australia depending upon the duration of the visit or the duration of the stay. E –Visa This is a free visa for multiple visits to Australia for tourism or business purposes for up to three months at a time within a 12-month period. This visa is available to passport holders from a number of European countries such as Belgium, Denmark, France etc. and cannot be extended. This visa allows you to travel to Australia for holiday’s, meeting friends and family or business purposes. Apart from that it allows you to study in Australia for upto 3 months. Other than that, the travel visa scenario for other countries is little bit different. If you are not applicable for e-visa than you have to apply for Visitor visa this will allow you to visit Australia as tourist, business purpose or temporary stay it will cost you around 130$$. P.S. : Know about Australian Visa here. Your Passport Validity: In Australia there is no passport validity required but you must have valid passport and valid visa when your boarding your flight for Australia but it is recommended that your passport be valid for at least 6 months because some airlines and countries have 6 months rules. Children under 18 must provide a notarised ‘no objection certificate’ from any non-accompanying parent authorising their travel to Australia along with copies of the parents’ passports. Singapore is one of the most beautiful countries of the world and is the perfect blend of Asian and European cultures. Its global financial center with a tropical climate and multicultural population, makes it a popular tourist destination. Must Visit Places in Singapore: Singapore Zoo, Merlion Park, Jurong Bird Park, Singapore Flyer, Singapore Night Safari etc. Nationals of Assessment Level I Countries: If you come under this category than you are eligible for an e-Visa. Under this category the listed countries are India, People’s Republic of China, Holders of Hong Kong Document of Identity, Macau Special Administrative Region (MSAR) etc. For e-visa you can visit https://save.ica.gov.sg/save-public/ and follow the instructions on the website. Nationals of Assessment Level II Countries: If you come under this category than you have to collect the paper visa sticker at Immigration & Checkpoints Authority (ICA) building or designated overseas missions if your visa application has been approved. In this category the listed countries are Afghanistan, Algeria, Bangladesh, Egypt, Iran, Iraq, Jordan, Kosovo, Lebanon, Libya, Mali, Morocco, Nigeria, Pakistan, Saudi Arabia, Somalia, Sudan, Syria, Tunisia etc. P.S. : Know more about Singapore Visa here. Duly completed Form 14A signed by you. 2 passport-sized colour photographs taken within the last three months. Additional supporting documents (e.g., Form V39A (Letter of Introduction for Visa Application (LOI)) may be required on a case-by-case basis. Nepal is a small, mountainous nation and is a tourist attraction for nature lovers, history buffs and spiritual seekers. Overall the unique places to visit, being home to the Himalayan mountain range, Nepal is considered to be a trekker’s and outdoorsman’s paradise. Must Visit Places in Nepal: Pashupatinath Temple, Sagarmatha National Park, Namche Bazaar, Ancient Town of Patan, Bhote Koshi, Durbar Square, Kathmandu, Phewa Lake and Annapurna Sanctuary Trek etc. Get Your Tourist Visa: Getting a visa for Nepal is a very easy process (Indian nationals don’t even require a visa). You can get a tourist visa either applying on your arrival or you can apply online. Visa on arrival: You will get visa application form in the arrival hall or electronic registration machines that read your passport and take your photo and print out your complete form and submit it to immigration. You can also apply for visa online within 15 days of your date of arrival in Nepal. For this process you will be required to give the address of your hotel and a recent digital version of a passport-sized photo that you can upload to the application and then submit the form and take printout of the confirmation receipt and show this to the Immigration officer upon arrival along with your passport and the proper amount to pay for your visa. P.S. : Know about Nepal Tourist Visa here. Your Passport Validity: Valid passport with at least six months validity on the date of entry into Nepal. Indonesia is known for its beaches, volcanoes, Komodo dragons and jungles sheltering elephants, orangutans and tigers and is home for different ethnic groups speaking many different languages. Here you will find historical attractions such as ancient temples and grand mosques along with the natural attractions like the breathtaking volcanoes, serene crater lake, Komodo Dragons and Orangutans and amazing beautiful beaches. Get Your Tourist Visa: According to your country and citizenship there are different process to obtain a tourist visa. With tourist visa you can stay in Indonesia for 30 days or maximum 60 days. There are two ways to get a visa. Your visa can be stamped on your passport once you reach your arrival port in Indonesia or you can receive your visa by means of Indonesia consulate or embassy in your country. There is list of 140 countries such as Algeria, India, Russia, Argentina, Ireland, Saudi Arabia, Australia, Italy, Slovakia, Austria, Japan and Slovenia etc. who are eligible for visa on arrival and if your country is not come under these 140 countries than you have to apply for in one of the Indonesian embassies or consulates outside of Indonesia. Pakistan, Iran, Israel North Korea, Cameroon, Niger, Nigeria etc. are nationals who face difficulties to arrange visa. P.S. : Get detailed information about Indonesia Tourist Visa. Your Passport Validity: Valid passport with at least six months validity on the date of entry into Indonesia. Hong Kong is known as one of a most popular tourist destination of China, It is China’s most expensive city and is also known as Asia best shopping destination. In the year 2014, 26 million tourists went to Hong Kong. There are different amazing tourist attractions to explore such as Victoria Peak, Hong Kong Disneyland, Tsim Sha Tsui, Lantau Island, Ocean Park Hong Kong, Victoria Harbour and Mong Kok etc. Get Your Tourist Visa: You can apply for the Hong Kong visa by either nearest Chinese embassy or consulate or you can submit your visa application to the HKSAR Immigration Department either directly by post or through a local sponsor. On an average it will take four weeks to process your visa application, if you properly completed your visa application along with your all documents. P.S. : Get detailed information about Hong Kong Tourist Visa. Your Passport Validity: Your passport must have valid for at least one month after the period of their intended stay in Hong Kong. However, documents issued to stateless persons must be valid for a minimum of two months after the period of intended stay. Tourism itinerary along with an arrangement for accommodation in Hong Kong. Personal details of sponsors or relatives along with their names, telephone numbers and addresses. These are some very important points regarding visa which you should know before planning your trip to one of these places. Just like a tourist visa, study visas are also in demand. Did you know that nearly 4.3 million students are enrolled in a study program outside of their home country? You can check out the comprehensive guide to visa & immigration of the best countries – study abroad. Have a look and take the right decision for yourself!